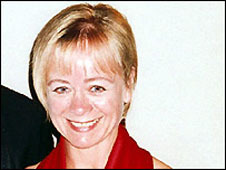 A body discovered in woodland in East Sussex has been identified as that of missing make-up artist Diane Chenery-Wickens, 48. She disappeared in January. Her body was found concealed close to a lane near her home on Thursday morning. The cause of death has not yet been established. Sussex Police are continuing to question her 51-year-old husband David Chenery-Wickens. A woman walking her dog found the body concealed near Worth Lane, Little Horsted, near Uckfield, about eight miles from the couple's home in Duddleswell. Mrs Chenery-Wickens worked for more than 20 years on BBC shows including Casualty and the League of Gentlemen. She was reported to have travelled to London for a meeting at the BBC, but never arrived. Sussex Police said CCTV footage had failed to show any sign of her. Mr Chenery-Wickens had previously been arrested on suspicion of her murder and had his police bail extended to 30 May pending further inquiries. In the past few months, specialist search teams have examined sites based on "specific information" in the 6,500-acre Ashdown Forest in East Sussex. Searches have also taken place at the couple's country home and surrounding woodland. 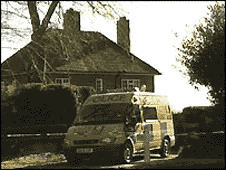 Police said the area where the body was found had not been searched before in connection with Mrs Chenery-Wickens' disappearance but had been considered for examination. Det Ch Insp Steve Johns, of Sussex Police's major crime branch, has appealed to anyone who may have seen anything suspicious near the lane where the body was found to come forward.